Heard: at a meeting of the Council of Bishops of the Russian Orthodox Church Outside of Russia of April 30/May 13, 2008: a report by Protopriest Alexander Lebedeff on the urgent need to establish a Secretariat of Inter-Orthodox Relations at the Synod of Bishops. 1. To establish a Secretariat of Inter-Orthodox Relations at the Synod of Bishops, answerable directly to its President. 2. To appoint Protopriest Alexander Lebedeff as Secretary of Inter-Orthodox Relations. 3. To appoint Protopriest Nicholas Artemoff and Protopriest Serafim Gan as Deputy Secretaries. 4. To request that the Secretary of the Inter-Orthodox Relations report on the activities of the Secretariat to the regular sessions of the Synod of Bishops. 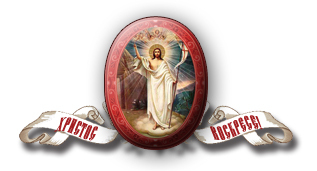 Deliberated at a meeting of the Council of Bishops of the Russian Orthodox Church Outside of Russia of April 30/May 13, 2008: On the revision and adoption of the Prayer for the Salvation of Russia. Decreed: To adopt the text proposed by Archbishop Mark, and to read it during Divine Liturgy on the Ascension of the Lord; and, as desired, on the feast day of All Russian Saints; the feast days of St Vladimir, St Olga and especially-venerated Russian saints. To change the name of the prayer to the Prayer for the Well-being of the Russian Orthodox Church. Heard at a meeting of the Council of Bishops of the Russian Orthodox Church Outside of Russia of April 30/May 13, 2008: A report on the episcopal consecration of Archimandrite Theodosius (Ivashchenko). Decreed: To send the curriculum vitae of Archimandrite Theodosius and accompanying appeals to His Holiness Patriarch Alexy II of Moscow and All Russia for the confirmation of his candidacy for episcopal consecration. Upon confirmation of his candidacy by the Holy Synod of the Moscow Patriarchate, to perform the episcopal consecration of Archimandrite Theodosius as Bishop of Seattle, Vicar of the Diocese of Western American Diocese, on September 7, 2008, at the Cathedral of the Mother of God "Joy of All Who Sorrow," scheduling a regular session of the Synod of Bishops to coincide with this ceremony. Heard at a meeting of the Council of Bishops of the Russian Orthodox Church Outside of Russia of April 30/May 13, 2008: A report by Protopriest Alexander Lebedeff on the adoption by an ecclesiastical commission and by the Synod of Bishops, but requiring confirmation by the Council of Bishops, of revisions to the "Regulations of the Russian Orthodox Church Outside of Russia." Decreed: To confirm the proposed changes to the "Regulations of the Russian Orthodox Church Outside of Russia." Deliberated at a meeting of the Council of Bishops of the Russian Orthodox Church Outside of Russia of April 30/May 13, 2008: On the selection of a new composition of the Synod of Bishops. Decreed: President—Metropolitan Hilarion of Eastern America and New York. First Deputy to the President: Archbishop Mark of Berlin and Germany. Second Deputy to the President: Archbishop Kyrill of San Francisco and Western America. Permanent members: Bishop Gabriel of Montreal and Canada and Bishop Peter of Cleveland, Administrator of the Diocese of Chicago and Mid-America. Alternate member: Bishop Michael of Geneva and Western Europe. Deliberated at a meeting of the Council of Bishops of the Russian Orthodox Church Outside of Russia of April 30/May 13, 2008: On the transfer of Bishop Gabriel of Manhattan to the cathedra of Montreal and Canada. 1. To appoint His Grace Bishop Gabriel to the cathedra of Montreal and Canada with the title "Bishop of Montreal and Canada." 2. In connection with the new obedience given to Bishop Gabriel, to release His Grace from his duties as Secretary of the Synod of Bishops. Deliberated at a meeting of the Council of Bishops of the Russian Orthodox Church Outside of Russia of April 30/May 13, 2008: the appointment of a new Secretary of the Synod of Bishops. Decreed: To appoint Archbishop Kyrill to the vacated position of Secretary of the Synod of Bishops. Heard at a meeting of the Council of Bishops of the Russian Orthodox Church Outside of Russia of April 30/May 13, 2008: The proposal of the President on awarding Archbishop Kyrill the right to wear a cross on his klobuk. Decreed: To award Archbishop Kyrill the right to wear a cross on his klobuk. Deliberated at a meeting of the Council of Bishops of the Russian Orthodox Church Outside of Russia of May 2/15, 2008: On expanding the episcopate of the Russian Orthodox Church Outside of Russia.